Born out of the ashes of the Bitcoin code and network, NavCoin is an easy-to-use cryptocurrency enabling fast, secure, and cheap peer-to-peer (P2P) payments with the overall goal of lowering global business costs and transactions. Specifically, the NavCoin website emphasizes one core principle — usability. And, that’s exactly what they’ve done since 2014, creating and deploying countless applications and projects on top of the NavCoin protocol, all in furtherance of mainstream permeation and adoption. Protocol: the foundation for the entire NavCoin ecosystem, which is secured by nodes running all across the globe. NavHub: the second layer of NavCoin’s comprehensive platform, sanctioning the creation and deployment of various projects. Community: anyone can contribute to NavCoin and be rewarded for their efforts. NavCoin’s “By its users, for its users” approach is run entirely by its community, which ultimately enables a transparent and truly decentralized governance. It’s also open source, with every single line of code publicly viewable, allowing anyone to contribute and audit the NavCoin blockchain. Highly active community which delivers weekly updates. While these may seem like standard features for P2P cryptos, it’s rare for a project to support all without sacrificing in other fundamental and important areas. This is what makes NAV a unique and promising cryptocurrency to watch this 2019. Now, let’s get to it. Below are 3 reasons why NavCoin is worth keeping an eye on this 2019. At the core of a functional and effective transactional coin is encryption, something which NavCoin has tested and refined over their 4+ year tenure in the crypto-sphere. Sensitive data and information vulnerability, which requires blockchain databases to “roll back” to various backup points after corruption, triggering missing transactions and value. But how does NavCoin remedy the above 2 vulnerabilities? Simple. A dual blockchain. Through the utilization of NavTech, a dual blockchain-based private payment option operating in parallel to the NavCoin blockchain and protocol, transactional information and data is “optionally” encrypted and sent via a secondary blockchain, severing any transactional link between a user’s public and private data and information. For example, when executing a transaction across the NAV network, a sender will send their NAV to the NavTech subchain (skirting direct transfer to the recipient). The NavTech subchain then utilizes several layers of encryption to randomize and obfuscate metadata inference of NavTech transactions, ultimately splitting transactions with time-delayed outputs. The final payment is then sent to the intended recipient from a NavTech-governed and controlled token pool. Simply put, the original tokens first sent by a sender are completely different from the actual tokens the recipient receives. NavTech uses RSA encryption, which has been widely studied and praised as a “robust encryption method” due to its usage of 2 separate cryptographic keys (public and private) — one key (public key) is able to be given to anyone, while the other key (private) is retained and kept private by the user. The core advantage of RSA encryption is attributed to the realizable difficulty of the factorization of the product of 2 huge prime numbers, which in turn prevents decryption of sensitive information/data. And, unless a malicious actor has knowledge of both prime numbers, decoding of the subject message and information is likely infeasible. NAV’s high levels of encryption and privacy provide users with “a democratic choice to make their financial transactions private,” should they decide to simply tick a box that they’d like their transaction to be anonymous. Dummy Transactions: used to cloak real transactions amongst a barrage of “fake” transactions — important for when NAV suffers from low trade volume. Multiple Receiving Wallet Addresses: receiving NAV wallets enjoy multiple addresses to further obfuscate transactions, meaning when the NavTech subchain transacts with a receiving wallet, it doesn’t actually send the NAV to a single address, but a series of addresses. NavTech Server Wallets: instead of finite and limited number of servers processing private transactions, every NAV wallet will become a NavTech server (or mesh network), where every wallet contributes towards a full decentralized network. You can read up further on NavTech 1.2 and the intended upgrades with 2.0 by checking out this past NavTech guide. Thanks to seamless transactions and near-zero costs, NavCoin is ripe for merchant adoption and implementation. NavCoin touts itself as the go-to payment solution for business and enterprise, as it’s already been tried and tested, and is currently in use/accepted by over 70 merchants across the world. At present, NavCoin’s “Merchant Gateway” — which allows for NAV use/acceptance in both physical stores and websites — supports merchants ranging from a full service ambulance company (Mile High Ambulance), to popular vape accessory website (101vape.com), all the way to a luxury sports car rental service (Lurento). NavCoin’s website cites that a core issue plaguing the implementation and realization of blockchain technology in the mainstream is the lack of user-friendly features. They also note that for P2P cryptocurrencies to truly establish themselves in everyday use and life, there needs to be a connecting bridge between blockchain technology and payment systems whereby users need zero to minimal technical expertise or understanding of blockchain technology to actually use it. NavCoin’s payment features further such simplicity, requiring customers/users to only scan a QR code in order to instantly transfer funds to a merchant. And that’s not all. NavCoin’s integrated payment gateway supports plugins for all major accessible webcarts, such as WooCommerce and Shopify — all of which also enable users and merchants to auto-convert cryptocurrencies and execute fiat settlements. Coupled with easy-to-use and implement NAV payment buttons (for seamless and secure transactions and donations), and NAV is truly in the midst of bringing cryptocurrency payments and blockchain security to the masses through a highly functional and easy-to-understand user interface while empowering merchants to effectively become their own bank. As noted above, NavCoin is a project of the people for the people, and is entirely run by its community — meaning anyone can contribute to NAV’s bustling ecosystem and get paid for their efforts. Driving NavCoin’s community-oriented push and growth is their Community Fund, which authorizes literally anyone to propose a project or idea, “nurture it, and build a team to bring it to life.” Projects on the NAV blockchain are funded and approved by its decentralized network of actors, and are free from central authority control and direction. That’s right, the users comprising the NavCoin network ultimately decide what’s most valuable for the protocol and choose its future direction and evolution. This increases community involvement in the network, as users can rest assured that their voices are actually heard and listened to. But, what happens if a project secures funding from the NAV community but never materializes? Do users then lose their funds? NavCoin touts itself as the first actual Community Fund in all of blockchain to enforce a “dual-vote consensus” to protect against misappropriated funds should a project never be completed. And the Community Fund is decentralized, so the only way funds can ever be appropriated and distributed is through the dual network consensus vote. It’s also worth noting that every NAV block that is minted will generate and distribute 0.5 NAV to the Community Fund, which is estimated to be roughly 500,000 NAV per year, incentivizing the network and its users to create and grow. In early December 2018, NavCoin rolled out their 4.5.0. update, which included an overhauled and upgraded community fund graphical interface with the NavCoin wallet, easing the process of voting on fund proposals and payment requests for users (all users need to do is log-in to their NavCoin Core Wallet or upcoming NEXT Wallet and select “yes” or “no”). NAV users are now promptly notified anytime a new payment request or proposal goes live on the network, sanctioning project proposals to go from idea to reality faster. Below are just several of the projects along with a short description which have been voted on, created, and deployed on NavCoin blockchain by the community. NavPay: an easy-to-use light wallet for users looking to safely store their NAV, which does not require users to download the entire NavCoin blockchain. It’s just a fast and simply way for NAV users to take control of their private keys. NavPi: a low-energy staking solution for NavCoin based on the Raspberry Pi platform, enabling an energy-efficient way for NAV users to validate transactions and receive stakes. OpenAlias: a simplistic and unique email username for users to easily send and receive NAV. Nav Explorer: an alternative NAV block explorer in Java to provide redundancy should the original CryptoID explorer suffer any issues or downtime. Kauri Wallet and DAEx (Upcoming): an open-source, multi-currency wallet geared towards advance transactions (merchant use, atomic exchanges, and more), and decentralized atomic exchange employing multi-currency features of the Kauri Wallet for secure P2P atomic exchanges. NavCoin ATM (Upcoming): the world’s first NavCoin ATM in Auckland, New Zealand. The above are just a sliver of the numerous projects being rolled out on the NavCoin platform this 2019. You can find (and create) your own proposal here. While January 2018 saw the market churn out project after project, most failing to ever materialize or bring value to today’s blockchain ecosystem, NavCoin spent its 2018 increasing the depth and reach of its ecosystem in preparation of solidifying itself at the forefront of P2P payments on the blockchain. 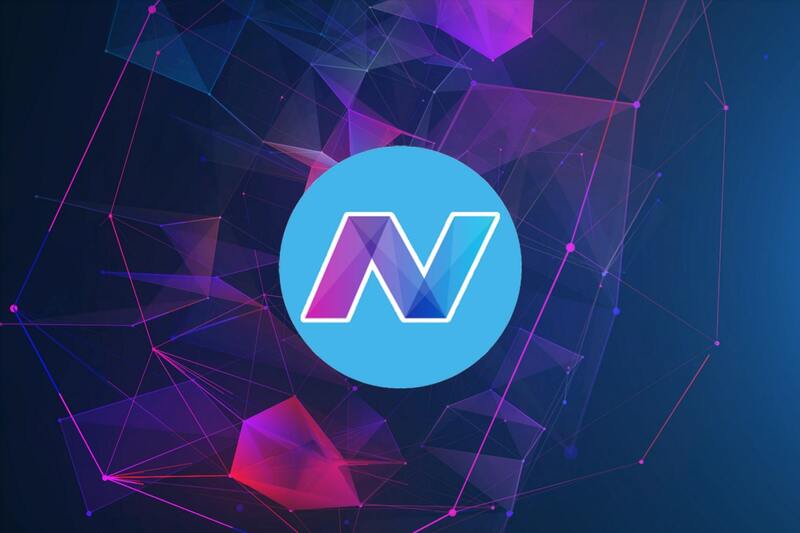 With numerous upcoming community funded projects on top of the NavCoin blockchain, a bustling community (which grew to over 50,000 members across community channels in 2017 alone), tried and tested encryption, obfuscation, and security, and merchant adoption increasing by the day, NavCoin is definitely worth keeping an eye on this 2019.